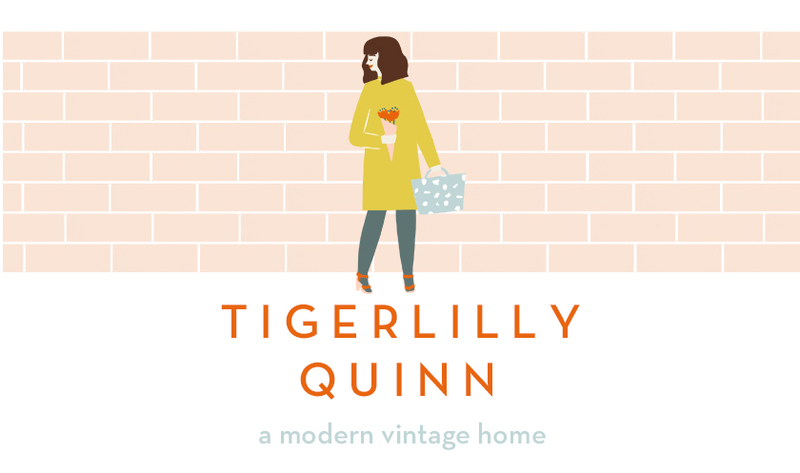 Fashion changes with the seasons so why can't your interior style? 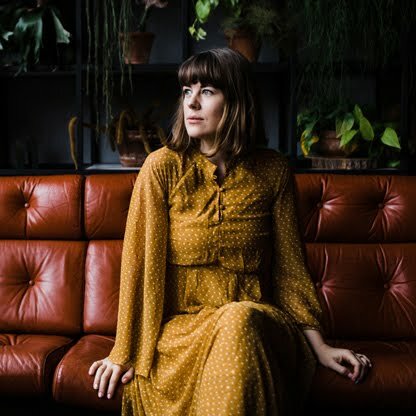 As spring finally arrives I'm switching up my wardrobe, adding little changes here and there and packing away my scarves and thickest of jumpers. 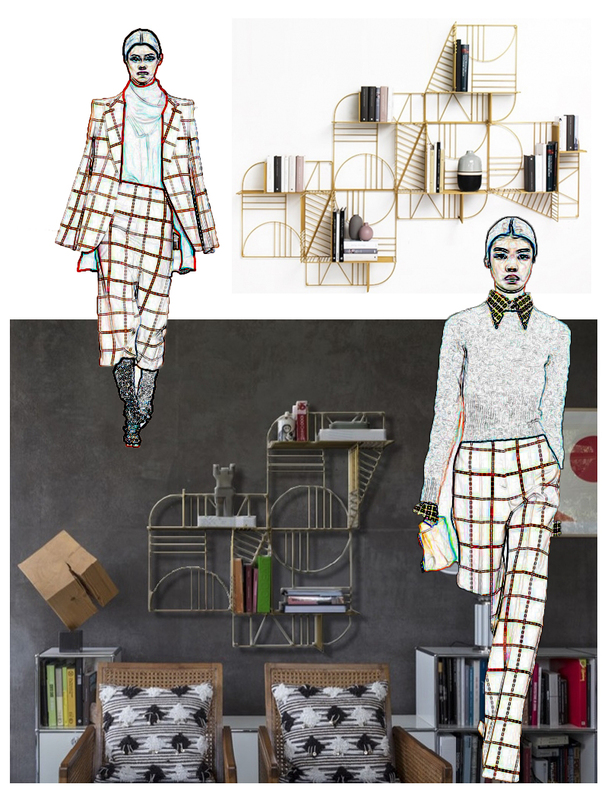 Fashion and Interiors work in the same way and as we enter into this new season of the year, we are already being prepared for AW19. London Fashion Week showcased some top trends that would also transfer beautifully into the home. I'm not saying you need a total refurb but little touches can change the whole feeling of a room. It can be as little as a fresh roll of wallpaper or a couple of statement cushions that can breathe a new life and new look into your space. I've picked some of my favourite trends to give you some ideas on how to make your front room not look out of place on the pages of Vogue. Spotted on the catwalk of LFW Asai show, Neutrals were definitely the stand out trend. You can get this look for your home by choosing modern, multifunctional and modular pieces. 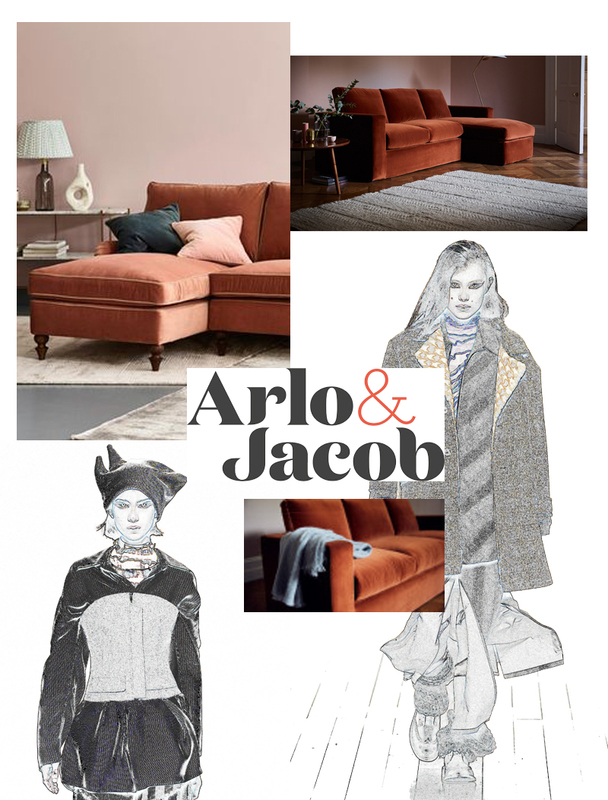 The Bertie Sofa from Arlo and Jacob, upholstered in this sumptuous burnt umber velvet, is perfect for this and is the definition of versatility. Autumn and winter don't need focus on dark shades, in fact, I'd argue they are more in need of a pop of colour! 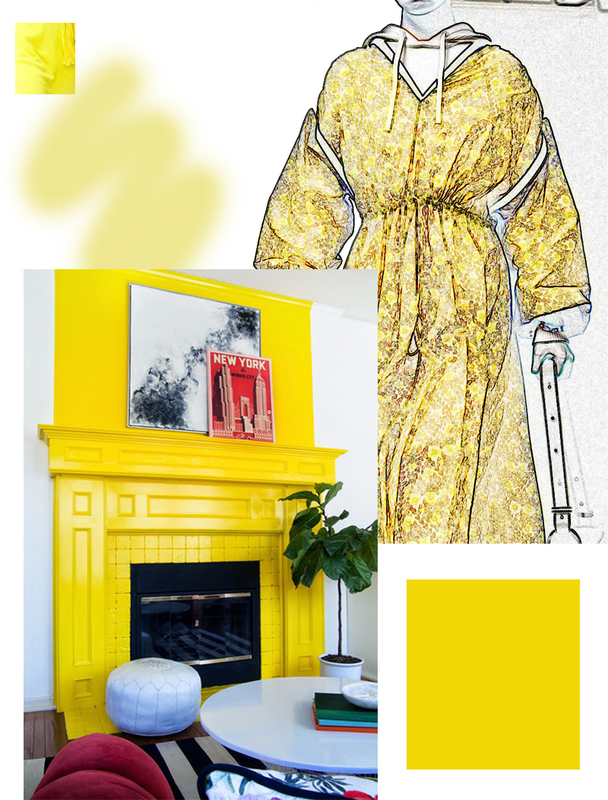 Marigold yellow was a not-to-be-missed trend this season. You guys know how much I love yellow! This was a key look in the JW Anderson show. You can add a burst of sunshine as a statement feature; a statement wall or a painted fireplace can totally transform a room and add that pop of cheer during the colder months. Floral prints are no longer dowdy or reserved for your granny's sofa! Erdem produced some amazing floral pieces in their collection this season; some of which can be transferred to your interiors seamlessly. 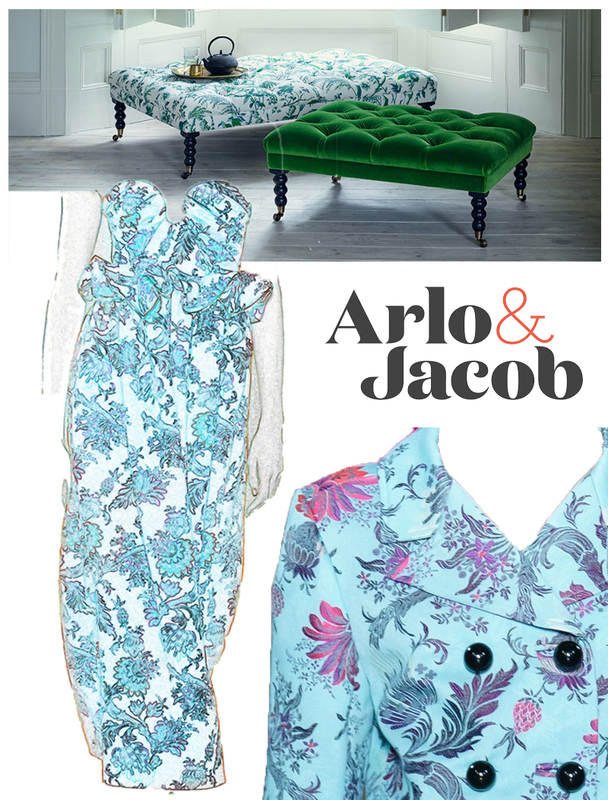 Arlo and Jacob show how beautifully this can work with their Hastings footstool, covered in a botanical bold print. Such a beautiful pop of colour and design that you can easily introduce in your home. Lastly, the iconic Victoria Beckham didn't disappoint with her collection this season. Strong Silhouettes were made softer with playful necklines. You can try this look in your home with simple but beautiful shelving that incorporates those angular designs with a few curves to soften the look. I'd love to know which trend you liked the most and if you'd be looking to incorporate these in your home. You can find the full Arlo and Jacob collection here. 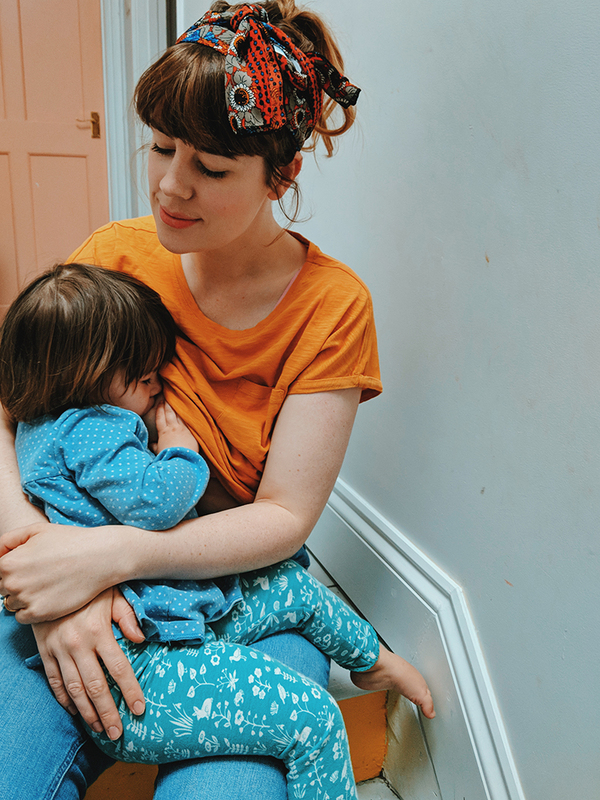 This post is an Ad in partnership with Arlo & Jacob.